This practical, friendly guide focuses on critical concepts taught in a typical geometry course, from the properties of triangles, parallelograms, circles, and cylinders, to the skills and strategies you need to write geometry proofs. 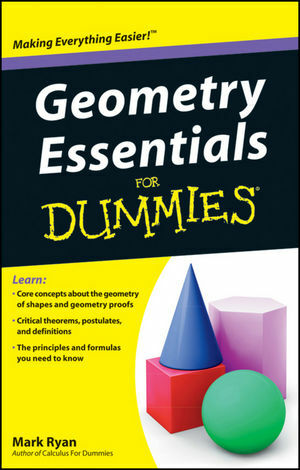 Geometry Essentials For Dummies is perfect for cramming or doing homework, or as a reference for parents helping kids study for exams. Mark Ryan owns and operates The Math Center in Chicago and is the author of Calculus For Dummies and several other math books.